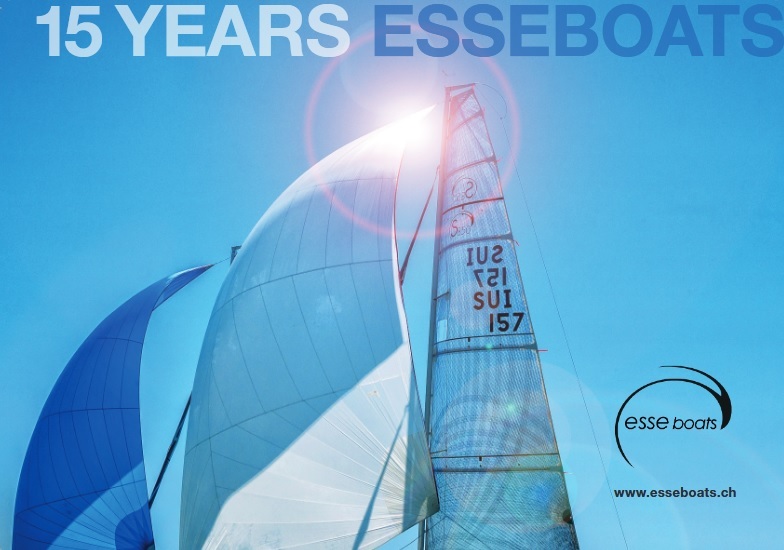 Perfect conditions prevailed yesterday at the start of the 10th anniversary edition of Les Voiles de St-Barth for the 66 entrants in nine classes racing around the west side of St-Barth on racecourses ranging from 24 to 36 nautical miles in 15–20 knots of breeze. --- Read the day one report with all details on the various classes and photos, and check-out the results. --- Racing is planned from April 15 to 20. Ian Williams GBR and his team clearly defeated Scott Dickson USA in the Final with a 3-0 score capturing their fourth Congressional Cup title. In the duel for Bronze, Taylor Canfield ISV had the upper hand on Johnie Berntsson SWE 2-0 in the Petite Final. --- The results and the videos. Eric Doyle/Patrick Powell/Justin Mendham, San Diego, CA. ahead of Jim Cunningham/Steve Hunt/Mark Ivey/Serena Vilage, San Francisco, CA, and Chris Snow/Parker Mitchell/Kara Voss/Bryan Paine, San Diego, CA were on the podium after eight races at the 2019 Etchells West Coast Spring Series - Mid-Winters West Regatta held at San Diego YC over the past weekend. Rick Goebel, San Diago, CA.and his team on the 6th place were the first Corinthians. --- The results and the event website. Ian Williams GBR and Scotty Dickson USA qualified for today's Final at the Congressional Cup in Long Beach CA. after having defeated Taylor Canfield ISV (2-0) respectively Johnie Berntsson SWE (2-1). Yesterday, Round Robin 2 was concluded and the Semi Finals sailed. --- The results and the offical press release of the day. Team Racing - 2019 Baldwin Cup Team Race - NHYC Team Lightning are 2019 Baldwin Cup Champions! The local Newport Harbour YC 'Lightning' won the 2019 Team Race Baldwin Cup yesterday, defeating Larchmont YC in the Final. St-Francis YC and San Diego YC were eliminated in the Semis. --- The results and the Baldwin Cup Website with photos and video links. After 10 races completed, the World Champion Will Welles (Portsmouth, RI, USA) and his team extended the lead over Tony Parker (Washington DC, USA) on 4 points in the last regattas yesterday and grasped the 2019 North American J/24 title. Kenneth Porter (Valle de Bravo, DF, MEX) finished 3rd another 4 points back. Mark Laura (Medina, WA, USA) remains 4th with an 8 point deficit on the podium. The rest of the fleet is 37 points and more behind the Champion. Three of the four Semi Finalists of the 2019 Congressional Cup in Long Beach CA. are known, a battle remains for the fourth berth between Nick Egnot-Johnson NZL, Scott Dickson USA and Chris Poole USA. Two final Round Robin races will determine which skipper stays, and who goes home. Johnie Berntsson SWE, Taylor Canfield ISV and Ian Williams GBR are already qualified for the Finals. Yesterday’s conditions were brisk, with a swiftly building breeze. Aggressive starts, dial ups and duels gave the spectators on the pier a thrilling show. The local Newport Harbour YC 'Lightning' was on top of the Goldfleet at the 2019 Team Race Baldwin Cup yesterday evening with Larchmont, St-Francis and San Diego all in hot pursuit. In a quick wrap, the commentators Mandy McDonald and Carolyn Smith reveal how day 2 went.